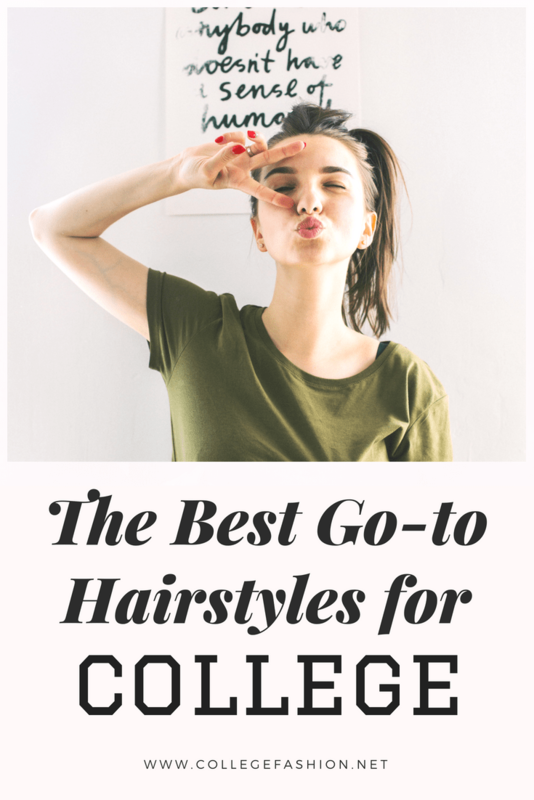 Save time and look amazing with these quick and easy hairstyles for college. 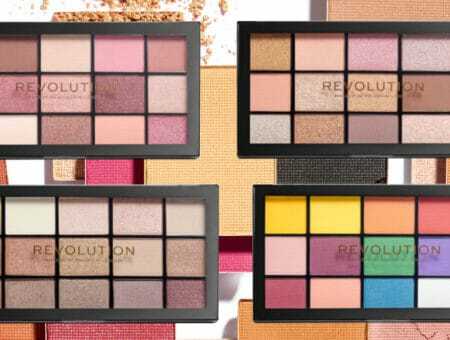 College can definitely be stressful, so it’s key to have an easy beauty routine ready to go for those busy mornings. With these quick and easy hairstyles, you have one less thing to stress about. 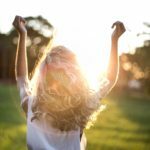 The best part about these hairstyles is that they can, for the most part, be worn with any hair length and texture and can be done in just a couple of minutes. 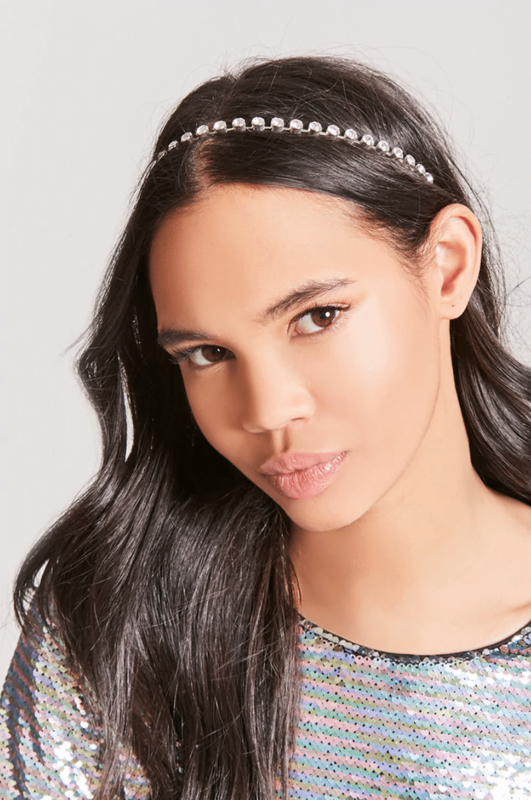 Keep reading to find out the best go-to hairstyles (and hair accessories) for college. This look is a classic and the best part is that it looks good on any hair length and hair texture. This is one of my personal favorite hairstyle ideas of the bunch and can be done in a number of ways to tailor it to your look. Start out by grabbing the top section of your hair and twisting it to form a bun. (If you need some texture or to remove grease, use dry shampoo first.) Tie the bun up and you have your look! For a more tousled look, you can pull at the bun a little to tease it and pull some pieces out to frame your face and for a more structured look, you can add use bobby pins to set hair into place. This easy hairstyle takes two seconds! This look is similar to the half-up-half-down bun but adds a nice flair of volume to your hair if you’re looking for a fun boost. Again, from the sides of your head, grab two sections of hair to form one small ponytail near the top of your head. Secure with an elastic and gently pull the ponytail and hair from the top section of your head until you get your desired look and optionally pull out a few pieces to frame your face. Love the half-up, half-down look? See our full guide to half-up, half-down hairstyles for even more tips and styling ideas! This look can take you from the classroom to work to ice cream with friends. All it takes is a couple of minutes, a hair tie, and possibly some bobby pins to get this look. Begin by parting your hair in the middle. Take the front section of one side of your hair and slowly begin twisting it towards the back, adding more hair as you go. Secure with bobby pins as needed and tie this section tight with a hair tie while you work on twisting your hair on the other side. This just prevents the rolls from coming undone. Once you have your second and last section together, take out the hair tie from the first section, and twist those two sections together. Once you do this, roll it up into a bun and secure with a hair tie and bobby pins. Show off your back from the beach glow with mermaid waves of hair. All you need is some sea salt spray, which you can buy or DIY, and a curling wand (optional). Start off with damp hair and spray your hair with the salt spray from root to end, pushing your roots up with your fingers as you go. For extra volume, do this with your hair flipped upside down and rake your hands through your hair a bit to give it that “just out of the water” messiness to it. Once you’ve applied a generous amount of sea salt spray, let your hair dry (or blow dry with a diffuser) and use a curling wand to emphasize your waves as needed. There you have it! Gorgeous waves of hair. Already have curly hair? 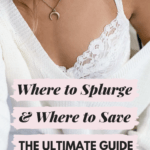 Check out this post with ideas for styling short, curly hair, as well as this roundup of hairstyles for long, natural curls. I LOVE space buns when I wear my hair half-up. I think that they are just so cute and modern, and they go with any outfit. The best part about space buns is that you can make them your own. Sometimes, I like them to be subtle — in that case I wear two small buns towards the back of my head so that they’re not that visible from the front. Other times, however, I want them to be loud and rock two huge buns on top of my head. To get the look, take a comb and part your hair down the middle. Grab half of one section towards the top or back of your head (depending on how you’re feeling) and just begin twisting your hair into a bun. Depending on the thickness of your hair, you can secure this with a hair tie or a bobby pin, or both! Repeat on the other side and voilà, your buns are golden. Want more on space buns? See our full guide to space buns hairstyles for even more tips and variations on this look! This is a PERFECT game day look. It’s cute and intricate but simple once you get the hang of it. 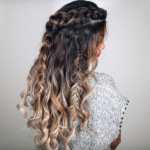 This particular style is a little tricky, so if this is new to you, grab some of your friends for a girls night for some pizza and dutch braiding. And be sure to watch the tutorial video above! Start by taking a comb and making a defined part down the center of your head. You want to make sure that your hair is brushed out, detangled and I would also suggest using some type of hair serum to make it easier to grab your strands. Once you’ve parted your hair, take a small section from the top of one side, divide it into three sections and begin to braid under. I know that might sound confusing so let me break it down a little more. You know how you usually braid your hair by crossing each piece over the middle strand? Well instead, this time you’re going to take your strands of hair and keep going under the middle strand. 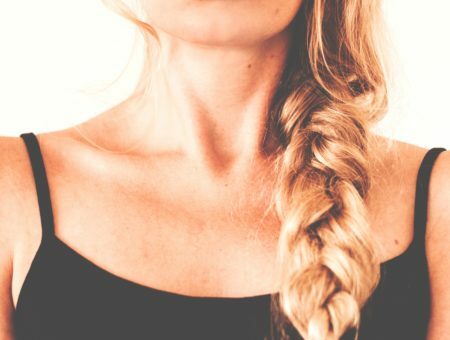 Once you do that, with each strand, grab a little more hair to braid under with, and make sure to keep the strands separate and to braid them tightly. Next is the hardest part (for me at least). While you’re braiding, depending on the look you’re going for, you want to make sure that you’re braiding your hair towards the back of your head and not along the side of your head beside your ear (unless that’s the look you want, in which case go for it, that’s totally cute too). This may take some practice which is why I suggest to make a night out of it and have fun with practicing this new do with some friends. And again, be sure to watch the video tutorial! Want more styles like this? See our list of the best game day hairstyles for more braids and easy styles you can wear with a hat. There is no better go-to hairstyle than the topknot. This look is simple, easy, and looks good with anything. Simply gather your hair to the top of your head, and twist your hair to form a bun before securing with a hair tie. The perfect topknot may take a couple of tries but the best ones are always those made on impulse. 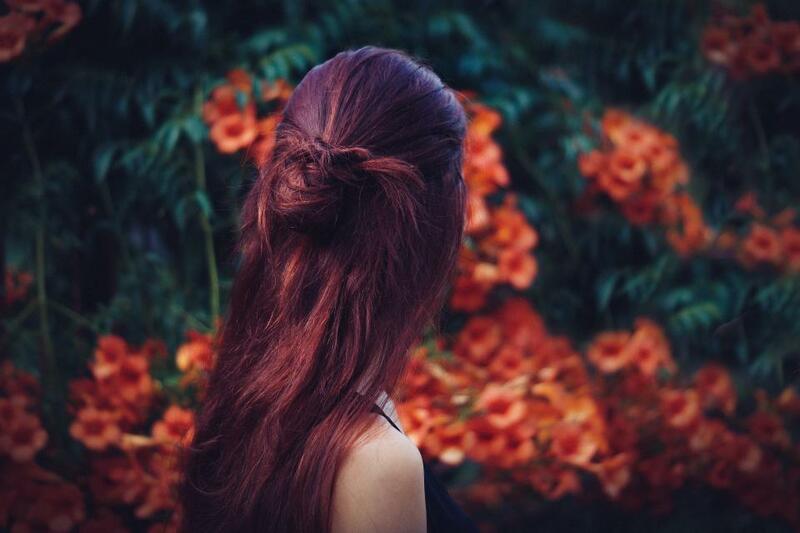 Want more hair ideas that are simple and easy? We got you! Check out these lazy day hairstyles. Part of the fun of college is playing with different looks and accessories. 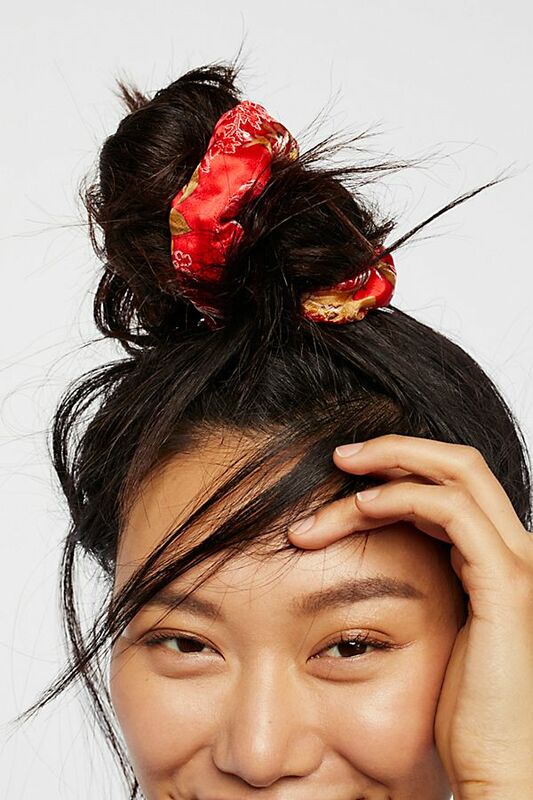 These accessories can make some major cute changes to your look and you never know, one of these might just become your go-to. Scrunchies have been back for quite some time now and I sure hope these don’t go anywhere soon because I could wear these with any casual outfit to make it pop. Scrunchies come in a variety of colors, fabrics, and patterns and are such an easy addition to your look. 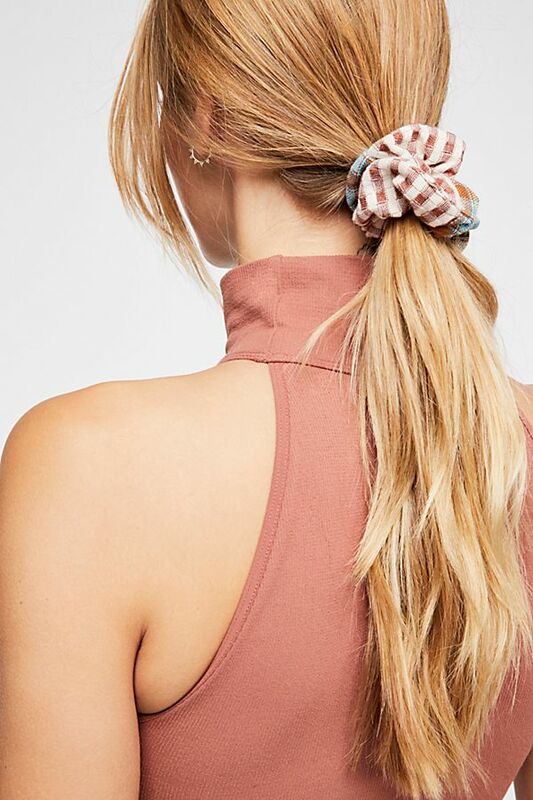 Try using a scrunchie instead of a standard hair tie for a classic ponytail, or a half-up-half-down ponytail or bun. Ball caps are all over campus. 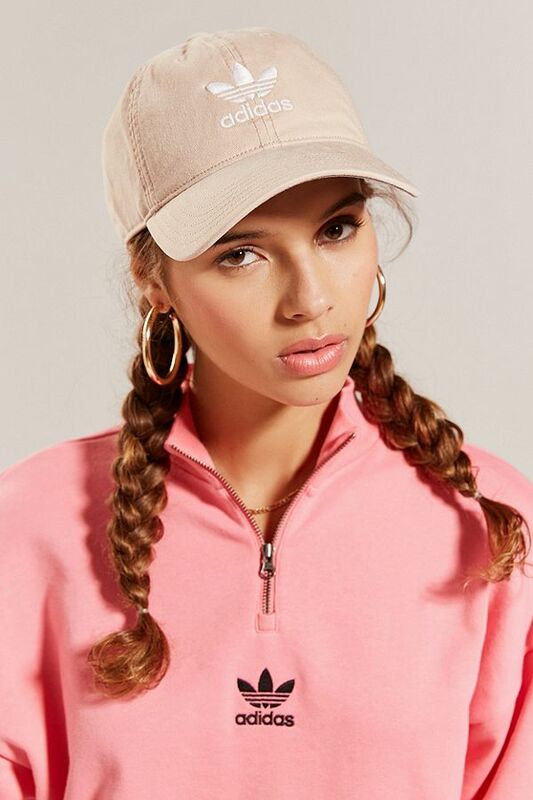 Whether you’re sporting support for your school or rocking a cute plain cap, you’ll look stylish while hiding any bad hair days. Perfect for those early morning classes! 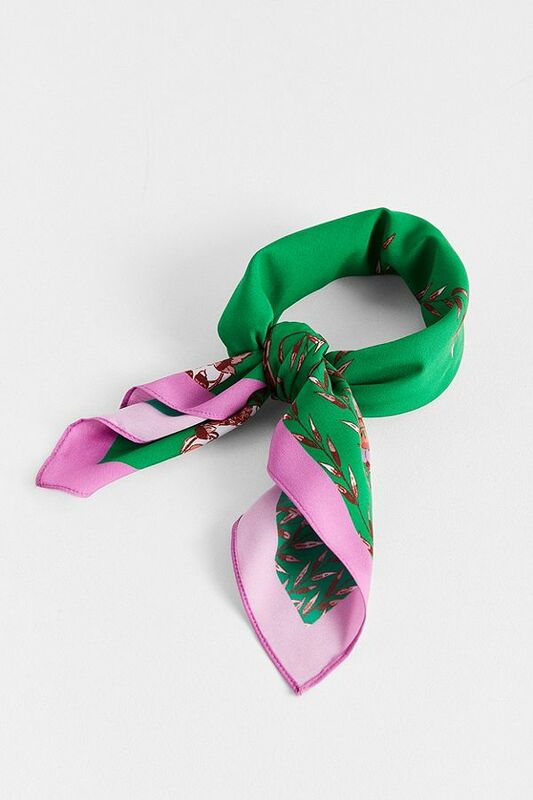 To add a girly flair to your usual head-to-toe look, add a small scarf to your ponytail! These can either be found online or you can just walk into your local fabric shop and find a few strips of fabric to tie your hair together. Channel your inner Blair Waldorf and add a pop of personality to your outfit with a fun headband of your choosing. I love using a bandana for a fun and modern feel. Sport this with a ponytail, bun, your hair half-up-half-down, or your hair just let loose. What are your go-to hairstyles for college? Whether you have some extra time or are trying to put yourself together between classes, any of these looks will guarantee you to save time and look good.